Overshadowed by the legacy of Cleopatra the last Egyptian queen, little is familiar about Hatshepsut and her legacy long before the life of Cleopatra. Hatshepsut was not only one of only three female pharaohs over a period of 3000 years in Egypt, but she was also the first lady to attain full power in this position. Not only was she responsible for extending Egypt’s power, but also did she take control of various building projects, including the temple of Deir el-Bahri. Hatshepsut (pronounced Ha-thsep-sut) born as the oldest daughter to King Thutmose I and his wife Ahmose. Estimated to be born around the year 1508 BC. Hatshepsut’s birth is described by some as a divine birth. According to the legends, Amun, an ancient Egyptian deity, announced that the birth of a great and powerful queen is about to happen. He then introduces himself to queen Ahmose with this message from the god Thoth about the legacy that her daughter is going to have and that she will unite rule between lower and Upper Egypt. Surrounded by goddesses Ahmose gives birth to baby Hatshepsut, who then not only suckled on her breast but also those of the goddesses. Her divinity soon came into being with the death of her father, King Thutmose I, resulting in her marrying her half-brother, King Thutmose II, the son of her father and one of his secondary wives and follow-up of the Egyptian throne. This was done to avoid the younger generation royalty marrying outside of the royal family. It was at the age of only 12 years old that she became queen of Egypt. After ruling Egypt for 15 years, Hatshepsut’s husband, King Thutmose II, passed away. This left Egypt in a crisis with only the infant son of King Thutmose II, with his mistress Isis, as the only male inheritor to the throne. Hatshepsut decided to step up to the role of queen and stood in her husband shoes as regent for this stepson of her until he became of age to rule Egypt. This was only for seven years until she decided to grab the position of having full powers as pharaoh in an ambitious move. Since this entire royal grab maneuver of Hatshepsut was controversial, she claimed that her father named her as his successor and to reinforce the image, she changed all her images where she is portrayed, to that of being a male, indicating to the nation that they were still ruled by a man. It has been said that Hatshepsut would often during her reign as pharaoh of Egypt, dress up like a man and even wear a false beard to give Egyptians the reassurance that they are still being governed by a man. However, some sources also indicate that the Egyptian royal family was under threat and that is why she took on the position as pharaoh. 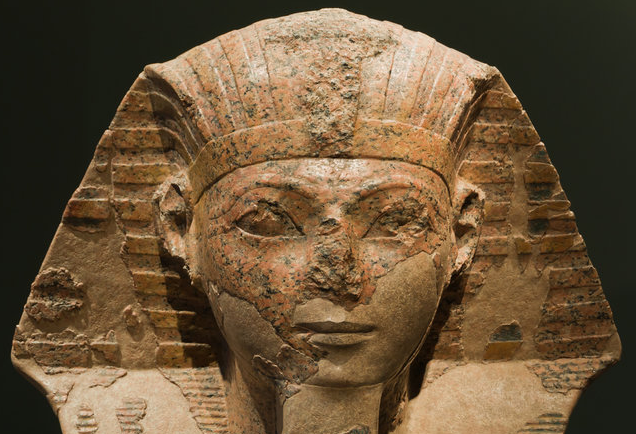 Unlike Cleopatra, Hatshepsut was no beauty or style icon. In 2007 it was announced by Zahi Hawass, Secretary General of the Supreme Council of Antiquities in Cairo, that the mummy of an elderly lady was found and it was confirmed to be the mummy of Hatshepsut. The first royal mummy since the discovery of Tutankhamen’s grave in 1922. 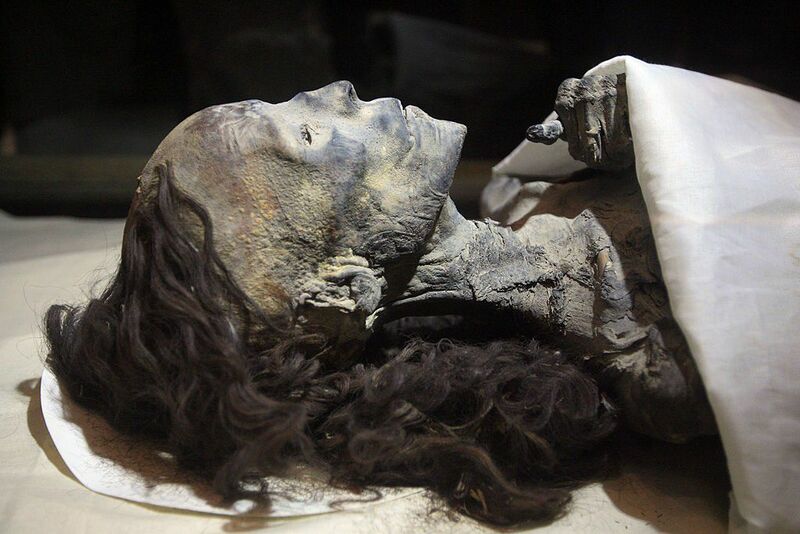 This indicated that Hatshepsut was overweight, diabetic and balding in front. It is also believed that she had a preference for red or black nail polish, probably giving her quite a goth-like appearance. Regardless of her poor taste in style, her influential rule and powerful accomplishes for Egypt is her legacy. One of Hatshepsut’s initial concerns as she entered the reign of Egypt was to ensure that the Egyptian economy would flourish. Emphasis was placed on means to assist trade to flourish. Therefore Hatshepsut’s focus was on building a strong trade network in the country. Paths had to be built and improved to assist ease of access between different regions in the country as well as with neighboring countries. Trade in cedar wood, ebony, ivory, lapis lazuli, incense, myrrh, iron, and copper would flourish in this period, strengthening the Egyptian economy. The most remarkable addition to the Egyptian’s trade routes was Hatshepsut’s expedition to the far land of Punt. This lead to the land of Punt becoming one of Egypt’s strongest trade partners in gold, resin, wood, ivory, and wild animals. On one of these expeditions to Punt, 31 live myrrh trees were brought back which was a tremendous achievement in planting foreign trees. Hatshepsut planted these trees in the Egyptian mortuary complex. 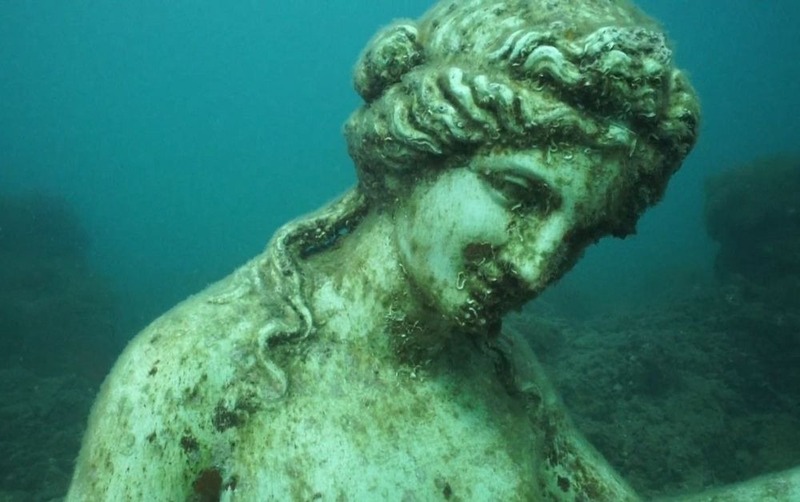 Her rule is familiar with a lot of adventurous building projects, especially along the Thebes river. One of these would be the enormous memorial temple of Deir el-Bahri at Luxor. This temple is considered to be one of the architectural wonders of ancient Egypt. Unlike any other Egyptian temples, Deir el-Bahri is a three colonnaded temple built into the steep half-circle of cliffs, guarding The Valley of the Kings. This mortuary temple of Hatshepsut was built over a 15 year period and the building process was overseen by Senenmut, who is believed to also have become her lover, later on, more will be expanded on this later on. The temple was also a place where Hatshepsut showed off her accomplishments as pharaoh of Egypt. One of these was the impressive Punt colonnade where she presented the great achievement of her expedition to Punt. The temple is also known as a mummy cache, where the mummies of the pharaohs were retrieved during the 21st dynasty. After her death, the temple was vandalized by efforts of her successor and stepson, King Thutmose III to erase her memory from Egypt’s history. Hatshepsut was also involved in building and rebuilding a number of other temples during her period of reign. The temple of Karnak is one of them. The 20 years of Hatshepsut’s rule was regarded as a time when Egypt was at peace, giving her the opportunity to use the land’s natural resources as well as the wealth of precious and semi-precious stones and metal that flowed in along the trade routes. Being the second largest obelisk in entire Egypt, the obelisk is carved out of a single piece of pink granite. Measuring in at 28.58 m high and weighing a spectacular 343 tons, this obelisk is at the Temple of Amon in Karnak and was erected in 1457 BC. Construction of such a magnificent structure in size and weight is carrying two possible theories. One would entail that the piece of granite was blown with dole rite balls which varied in size and weighed approximately 6 kilograms each. Wearing around a pathway around the block until a person could fit in who would then blast the block further until it was entirely separated and only had to be released at the bottom. This was done by blasting a tunnel on both sides of the block with dole rite balls until only the last part had to be lifted with a lever. Another theory supported by Egyptologists is that the wedges of sycamore trees were used to be inserted into cracks in the granite and when the wood was wet and then exposed to the sun, it would expand and crack the granite loose. Transport of the block took 7 months, which is an ancient wonder in itself due to the way that it was transported. The block was pulled over wooden sleds by rope, with Nile mud as a lubricant to reduce friction. Regarding water transportation on the Nile, we are only left with theories and the most popular is that they had to use probably more than one boat even though some do consider only one craft to transport the entire block. With a lot of theories, but really no certain factual information, it is believed that they used a pulley system to lift the block in order to be erected. After which the four sides of the obelisk was sculpted and polished with different sizes and sorts of stones. As mentioned before, Senenmut has overseen Hatshepsut’s building projects. As her confidant and also believed lover, he plays an important role in her life. Counting around statues of Senenmut is clearly indicating Hatshepsut’s favor over him. With all the statues adorned in costly stones which was normally only restricted to statues of the king himself. Not a lot of information is available on the affair between Hatshepsut and Senenmut, but we do know that he entered her life while her husband was still alive. As tutor to her only child, Neferure. Yet some of these statues depict Hatshepsut sitting in his lap. He was given positions of high importance and wealth. Having his name carved into the Hatshepsut’s mortuary temple and their faces facing each other carved out in granite may be an indication of the fact that he wants to be close to his loved one even after death. We do know that Hatshepsut never remarried and Senenmut never took a wife. It is believed that even long before her husband died, Hatshepsut started to prepare her own grave site. When she died after 20 years of reign, probably being in her mid-forties, she was buried at The Valley of Kings. To further emphasize her reign, she was buried with her father’s sarcophagus in her tomb to symbolic of them together in death. Her successor, stepson Thutmose III, reigned for 30 years after her death and resembled his stepmother’s rule as a great builder and he was an excellent warrior too. Thutmose III decided to extend all efforts to erasing his stepmother’s rule over Egypt from the history books by removing her statute from all temples and statutes that she erected. We can only assume it is to hide the fact that the dynasty was once ruled by a female. Due to this, very little was known about Hatshepsut, until around 1822 when hieroglyphics could for the first time decipher the hieroglyphs on the walls in Deir el-Bahri. Her cause of death could only be theorized as may be connected to the fact that it occurred shortly after her stepson, Thutmose III returned from a military campaign. Until her mummy was discovered in 2007 when it became clear that she was in poor health with signs of arthritis, dental cavities and root inflammation, diabetes, and bone cancer. The source of cancer was unclear but it is presumed that it could have been soft-tissue cancer. The cause of this cancer was revealed in 2011 by German researchers who identified a carcinogenic substance in a vial which belonged to Hatshepsut and most probably contained a beauty product. A woman nearly erased from the history books regardless of all her achievements, could have her legacy restored through the positive identification of her mummy. This was done through a missing tooth. The confirmation that the mummy indeed belonged to Hatshepsut, was done after a box belonging to Hatshepsut was found and it contained a liver and a loose tooth. This tooth was an exact match for the mummy who was missing a tooth. Now being able to identify the ancient queen of Egypt, a lot of new information could be revealed about her health, life and indeed her death. Her mummy was placed on display at the Egyptian Museum in Cairo. Thutmose III became pharaoh after his stepmother’s death. Being an avid author, historian, botanist, and architect as well as a well-known general and acclaimed author, he was most probably not brooding for 20 years against his stepmother, wanting her dead. Hence the argument that when the decision was made to remove her statutes and name from temples and building, some even being smashed, it was purely for self-promotion as a new pharaoh. It could also have been seen as a cost-saving exercise of replacing her name on some of this grandiose structure, rather than building new ones. Uncertainty exists regarding some places where her identity was not erased and the question remains whether he passed away before all the work was done, or maybe it was never his intent to completely remove her from the Egyptian history. Either way, the bearded queen of Egypt has re-appeared after her mummy was given a voice.